While propulsion companies have been grabbing the headlines for the last several years with pod drives and joysticks, a small Florida company has been making strides with an alternative that brings low-speed docking control to conventional shaft-driven boats. Yacht Controller LLC sells a wireless system that electronically interfaces with a boat’s engines, transmissions, thrusters and anchor windlass. A skipper using the Yacht Controller can leave the helm and — from the bow, stern or any spot on deck — manipulate the engine and thrusters to maneuver the boat into a slip or to a dock, says company president Gerard Berton. 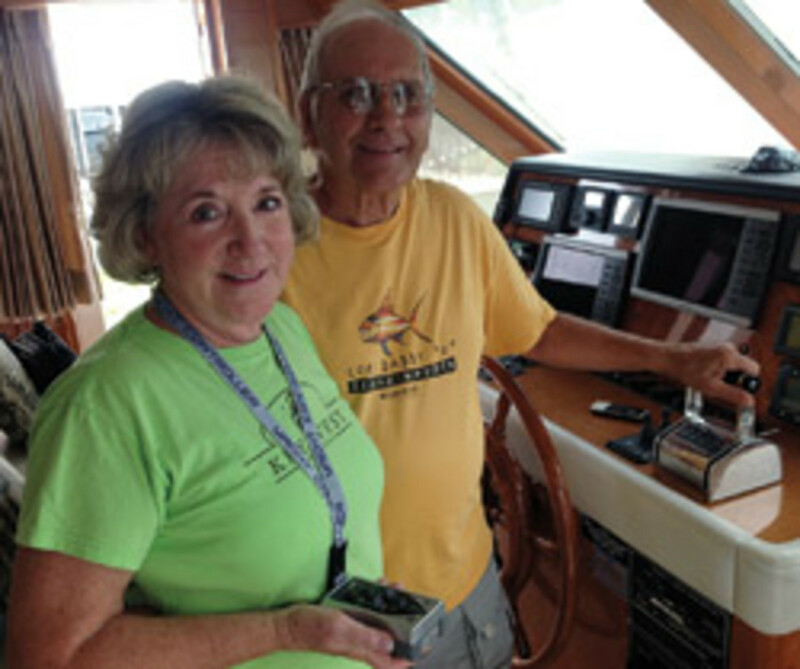 Not only does the Yacht Controller eliminate sightline issues, but it also allows the “captain to tie the boat up alone since he can step off with a line in his hand and use the Yacht Controller to keep the boat in place or move it,” says Berton, who introduced the device in the United States in 2003. 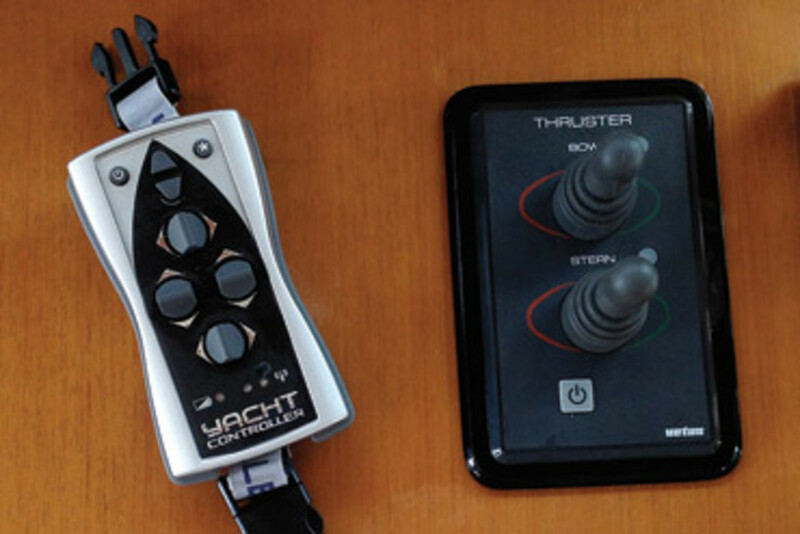 The Coral Gables, Fla., company has sold 6,000 Yacht Controllers since launching the product. That’s comparable to the number of Volvo Penta Inboard Performance System pod installations, Berton says. It’s true: IPS is installed on about 7,000 boats worldwide, says Tony Kelleher, Volvo Penta’s director of products and customer support. In addition to Volvo Penta’s IPS, the pod market includes Mercury’s Zeus and ZF Marine’s Joystick Maneuvering System. Volvo Penta, ZF Marine and Mercury say they have no wireless remote joystick products. “Typically we don’t discuss product that isn’t already released in the public domain, but it does not look like we have any plans at this point to develop and launch this [type of] product,” Kelleher says. ZF Marine can set up its JMS and Smart Command controls at a maximum of six auxiliary helm stations, Meissner says, adding that ZF offers a wired remote control that can be plugged into those stations. And conventional inboard-powered boats can be set up with JMS — a technology the company introduced on a Bertram 63 at the Fort Lauderdale International Boat Show in 2009, Meissner says. One of the appeals of the Yacht Controller is that you can bypass the expense of an auxiliary station, Berton says. Not only that, the Yacht Controller also can be retrofitted for use with most pod propulsion systems, he says. Yacht Controller is also working on a fixed-mount joystick and a remote control with a mini-joystick that will allow one-handed operation, Berton says. “We expect to have the fixed joystick available in the fall, and the remote will follow,” he says. The remote joystick model will work similarly to the current non-joystick Yacht Controller remote, which is about the size of a cell phone with four flexible levers in an ergonomic diamond arrangement. The buttons are engaged by pushing them side to side or fore and aft, which allows for the one-handed operation. The top and bottom buttons control movement of the bow and stern thrusters, respectively, and the side buttons control the engines. (The bow and stern thrusters also have their own controls at the helm.) Two additional buttons control the anchor windlass. Yacht Controller won an innovation award from the National Marine Manufacturers Association. An Italian company, Micro Device, developed the Yacht Controller for Berton’s company. Bosch Rexroth, Glendinning Marine Products and MarineMax have endorsed the product, Berton says. Yacht Controller also offers its own bow and stern thrusters (externally mounted), which can be tied into the Yacht Controller system. The Letourneaus had a stern thruster installed to make their system functional. The Yacht Controller connects to a boat’s electronic controls, and a local dealer can install it in a few hours because it is a plug-and-play system, Berton says. The company has equipment for more than 35 types of electronic controls and does not bypass any OEM systems or require any cutting or splicing of wires, Berton says. Yacht electronics and propulsion dealers, rather than boat companies, install the Yacht Controller. It has been installed on more than 136 boat brands to 125 feet. The system is a $10,000 retail item that includes the electrical harnesses, the receiver and the transmitter. Dealers normally charge an additional $1,200 to $1,500 for installation, Berton says. 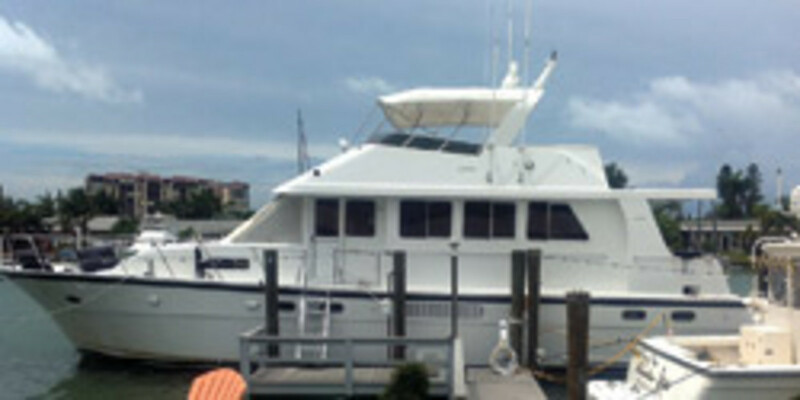 Yacht Controller has established a worldwide dealer network that includes 125 in the United States. One of them is MarineMax in St. Petersburg, Fla., a Sea Ray dealership that sells new boats and brokerage. 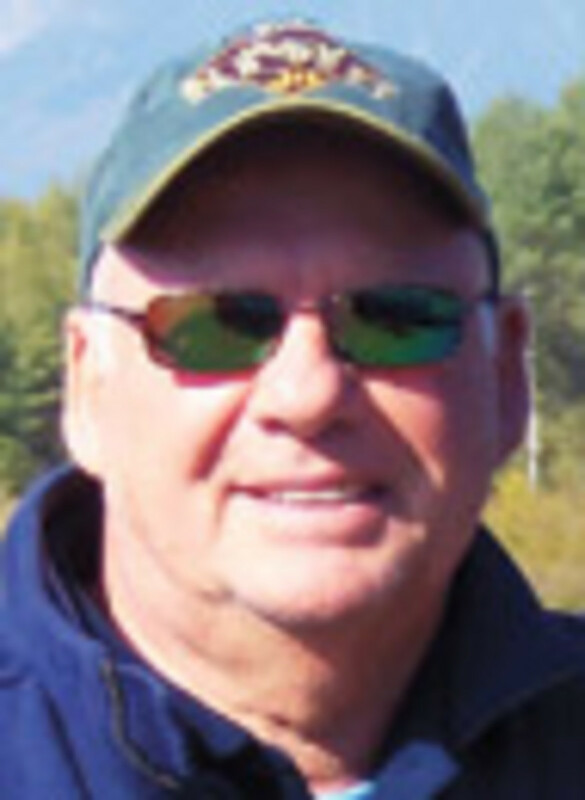 MarineMax has installed about 20 Yacht Controllers in the past four years on boats from 50 to 80 feet — mostly sport cruisers and motoryachts and a few sportfishing boats, says electronics department supervisor Guy Pigeon. Seidman says the Yacht Controller is particularly valuable to him because he has a prosthetic left arm that has limited use. Another benefit: Seidman keeps his yacht on tide slides — sort of a cradle for a boat that moves with the tide. The tide slides work best when dock lines are tight, he says. “I use the Yacht Controller to maneuver the boat and tighten the lines while I’m either on the dock or in the boat,” he says.